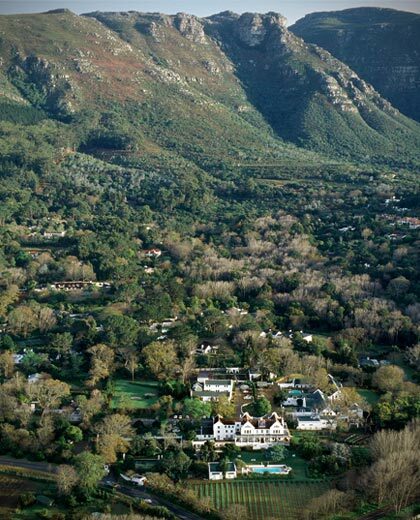 Constantia, South Africa’s oldest winelands, is home to the breathtakingly beautiful 52 roomed The Cellars-Hohenort, a family owned and managed hotel, set in over 4 hectares of the most magical gardens imaginable, on the slopes of Table Mountain. One of four in The Collection by Liz McGrath, The Plettenberg and Beachyhead Villa in Plettenberg Bay and The Marine Hotel in Hermanus make up the rest. The result of owner Liz McGrath’s 20 years of hard work, love and endless inspiration, The Cellars Hohenort, a Relais et Chateau Hotel, has truly sensational gardens where one could walk for hours. 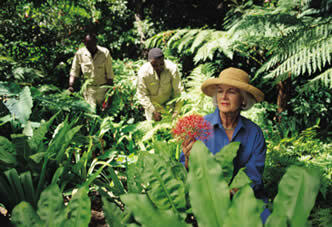 Dedication there by Jean Almon, one of the Cape’s unsung horticultural heroes, over a number of years has created a series of small gardens, forested areas and walkways spilling over with white roses. 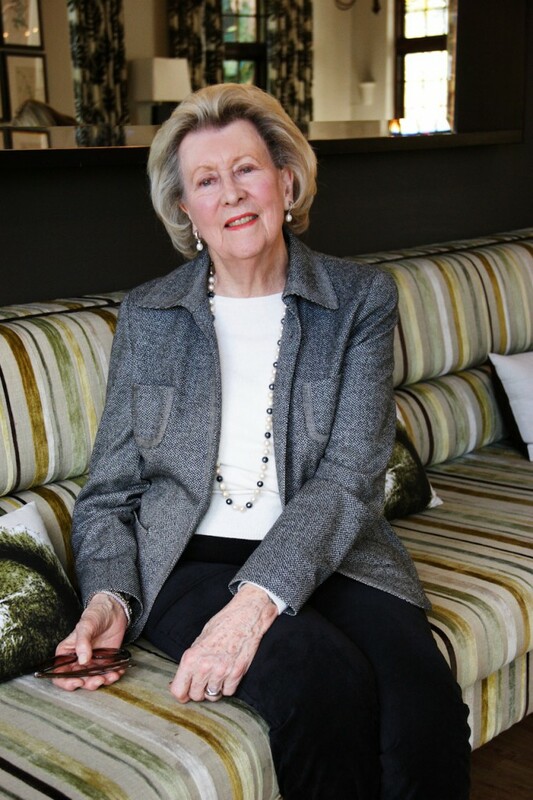 Jean has worked on the South African Exhibition at the Chelsea Flower Show. The hotel has a Gary Player designed nine-hole golf putting and chipping green, a tennis court and three swimming pools, one of them in The Madiba House, a private suite. 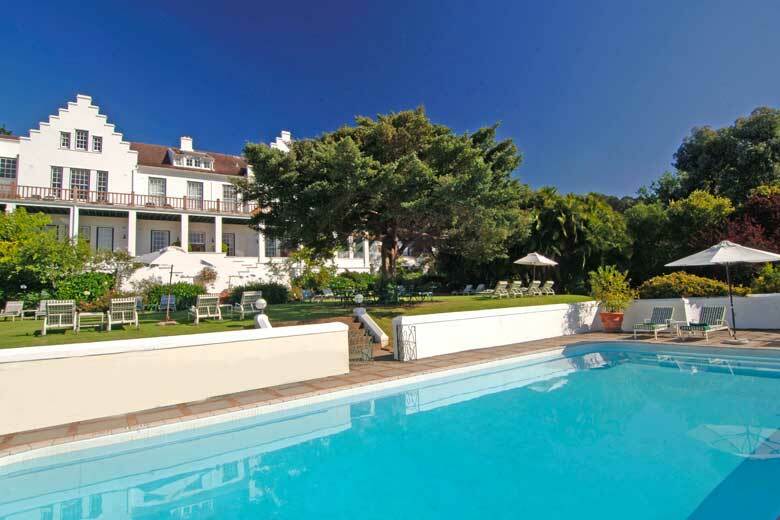 The hotel has its own little vineyard from which the hotel’s own wine, Vin d’Hohenort, a sweet Constantia wine, a reflection of the great sweet wines of yesteryear Constantia, is made. 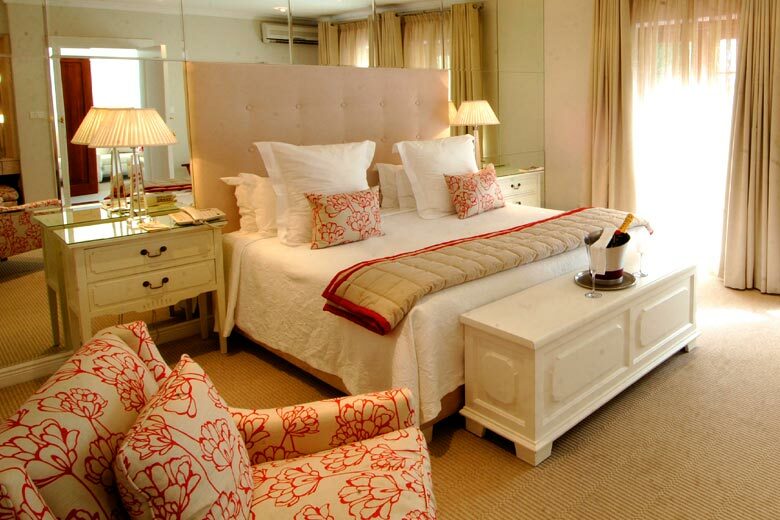 The 49 bedrooms and suites are all individually decorated and each has the most amazing view out over the garden. But there is more. 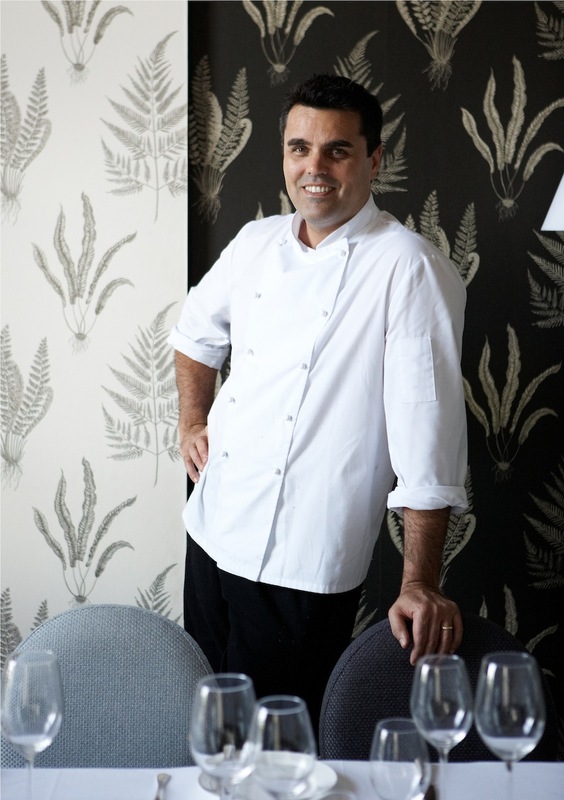 Peter Tempelhoff, Executive Chef for The Collection by Liz McGrath, holds the prestigious status of Relais et Chateaux Grand Chef, Cape Town’s first. Relais et Chateaux is a collection of the most beautiful restaurants and hotels scattered around the world. The hotels The Greenhouse Restaurant was chosen as The Top Restaurant in South Africa in the DSTV Eat Out Awards 2011 and regularly features in the national Top Ten. 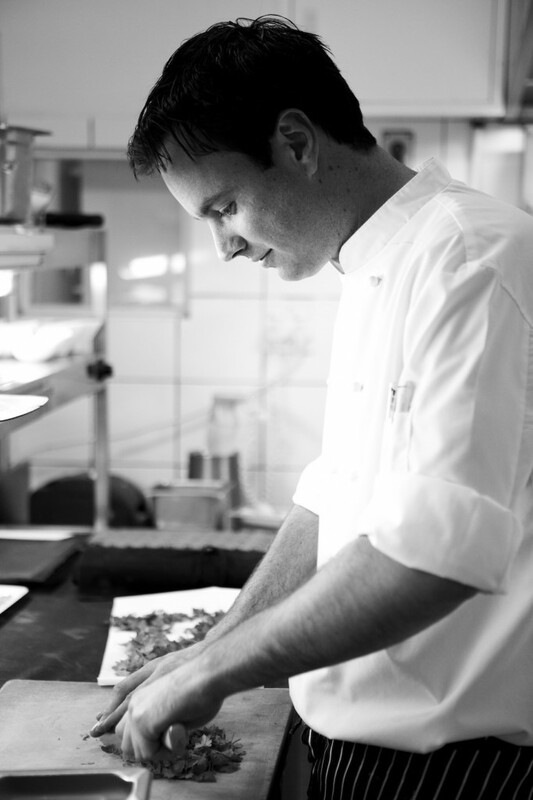 Geraldn van der Walt is the head chef at The Greenhouse. Many great chefs have influenced Peter’s style, from his beginnings with Marco Pierre-White and Giorgio Locatelli to Joel Robuchon, Anne-Sophie Pic and Daniel Humm. The Collection’s flagship restaurant, The Greenhouse, with Peter at the helm, has become a place where modern cuisine comes together with the rich tapestry of South African ingredients and flavours. A melting pot of ideas and concepts, it is a place revered by many as one of the leading restaurants in the country. I have been fortunate to eat Peter’s food before, and recently sat next to a well known chef and his wife, our eyes met frequently and we just shook our heads in wonderment at the most beautiful dish after dish appeared before us. Gerald van der Walt, chef at The Greenhouse at work. The Greenhouse offers a series of different menu options. And all of them come with the option of tasting wines with each course. 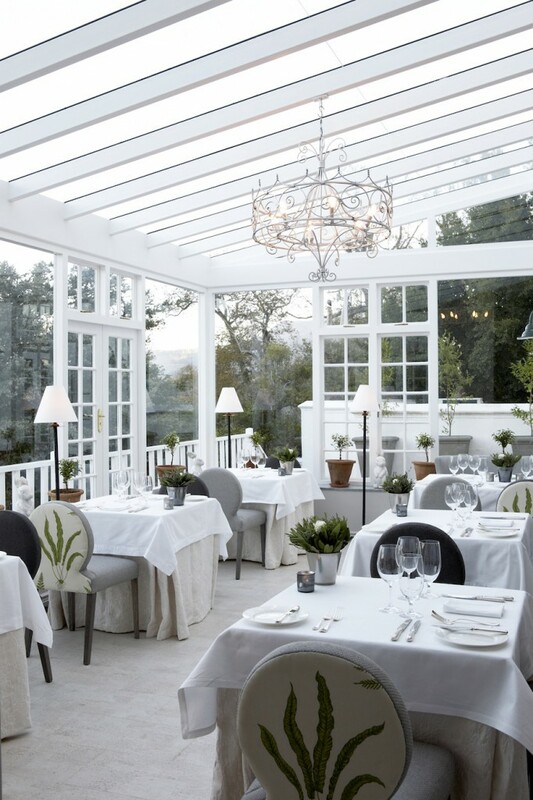 The Conservatory, which is the main dining room of the hotel where breakfast, lunch and dinner are served, offers diners the most amazing views of the fabulous garden vistas from both it’s sun-drenched terrace and from the the indoor tables through large windows. The Conservatory has been sympathetically built around a giant 300-year-old oak tree. 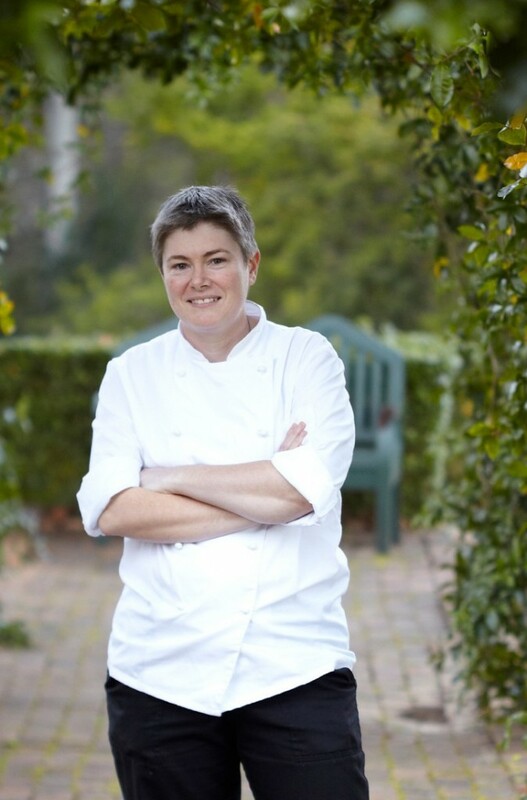 Here Delia Harbottle, the head chef creates hotel classics alongside modern and seasonally influenced dishes. 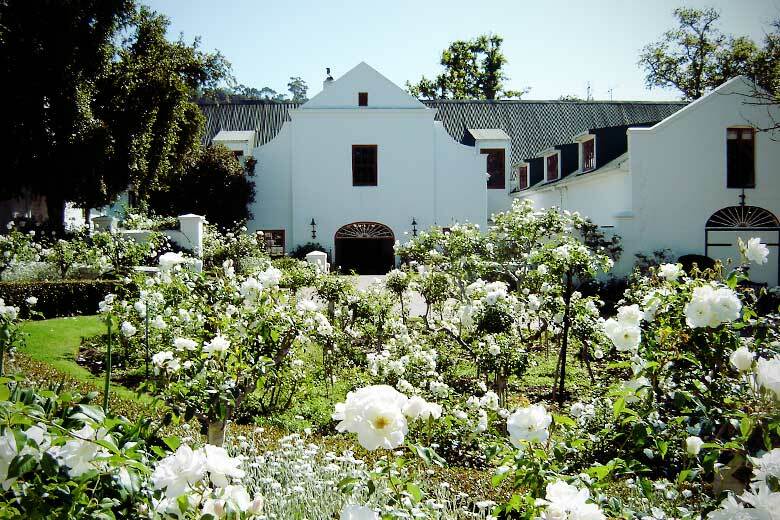 The menu places a great emphasis on fresh produce from both The Cellars-Hohenort gardens and local green-friendly suppliers, and this gives it the unique ability to showcase a true taste of the Constantia Valley. Friendly service and an award-winning wine list ensure that The Conservatory offers guests and locals an exceptional everyday dining experience. 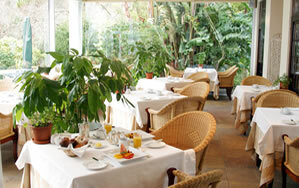 The Conservatory offers an unrivalled Sunday Lunch. Many of the dishes on offer are Mrs. McGrath’s own recipes. She is big on Sunday roasts and generous desserts. 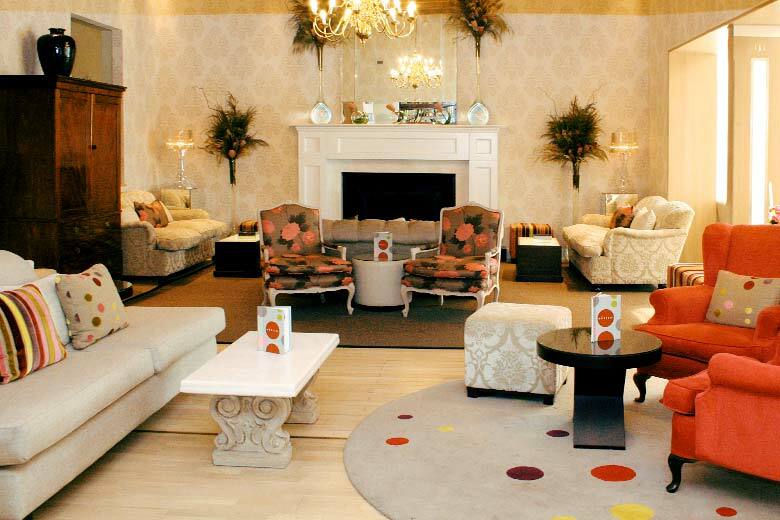 The hotel has a lovely sitting room, lovely to sit there in Winter when the fire is burning. There are two bars in the hotel. The Martini Bar, which is The Cellars-Hohenort’s in-house bar. Offering an exclusive range of exceptional cocktails, it is a hotel bar unlike any other. During the day it is a relaxed space to meet for high tea or single estate coffees.When night falls, The Martini becomes a superb location to enjoy the finest selection of award-winning Constantia wines, chic Champagne and magnificent martinis. The Fern Bar is in the Hohenort Building, and is ideal for enjoying a glass of sparkling Champagne before experiencing the gastronomic journey of the senses at The Greenhouse. Decorated in soft greens with windows overlooking the award winning gardens, during the day it provides a tranquil respite for those looking to have a quite drink or afternoon tea while settling into a good book. I stayed at The Cellars over 25 years ago when the two hotels were separate and The Cellars was a small 9 roomed hotel in the old Spilhaus Cellars. The Hohenort was built as a family home for the Spilhaus family. 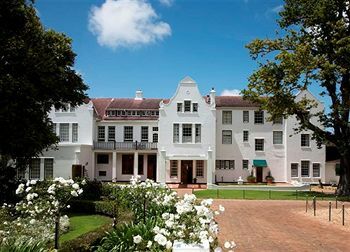 The Cellars Hohenort is a world class venue in our midst.